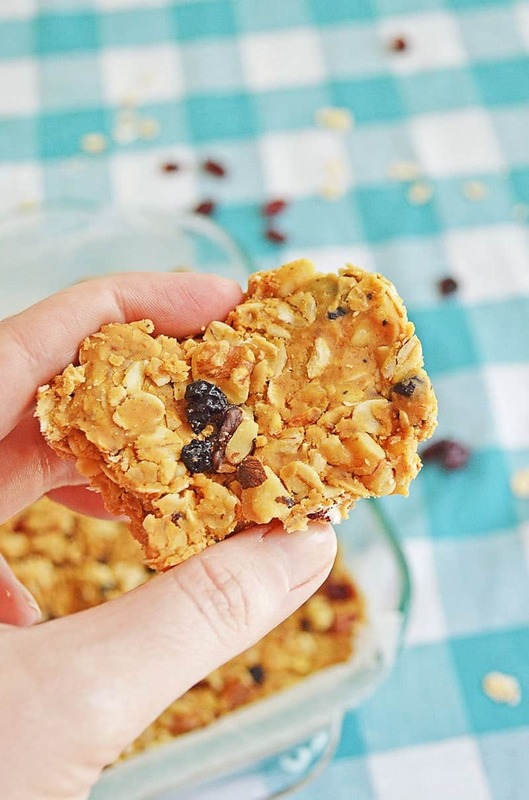 These No Bake Peanut Butter and Oatmeal Energy Bars are full nuts, dried fruit and are sweetened with a bit of maple syrup. 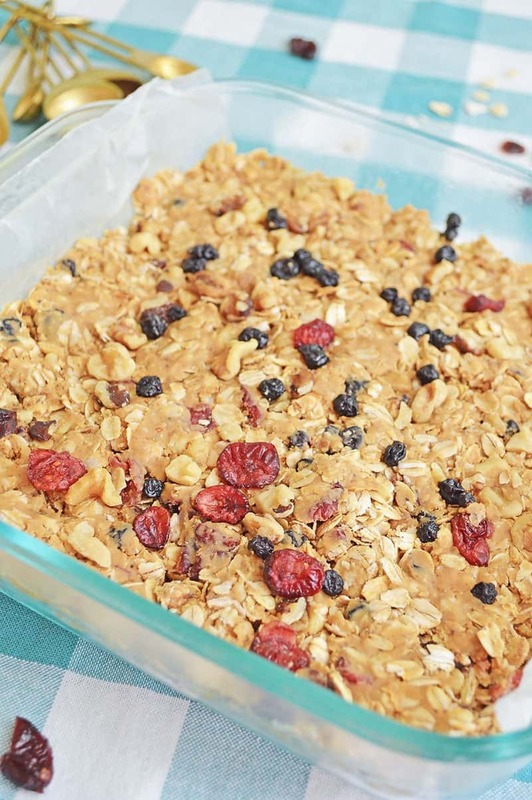 The peanut butter oatmeal bars are a great addition to your list of healthy snacks for kids! Though my kids don’t even want to think about it, back to school time is almost here. We’ve gone school shopping for supplies and clothes, which the kids didn’t enjoy that much. Now we’ve moved on to the one part of back-to-school that the kids do enjoy – planning new recipes for their lunches and after school snacks. Finding healthy snacks for kids that they actually enjoy is not always an easy task. My kids are open to trying almost anything but, of course, prefer things that taste like a sugary treat while I want them eating something nutritious and healthy. Is oatmeal and peanut butter good for you? Yes! As I’m sure you guessed from the “healthy” above, oatmeal and peanut butter make a nutritious and healthy combo that help fill you up just by eating a small amount. These peanut butter oatmeal bars satisfy both of us. They love peanut butter and the honey makes these sweet while the oats help provide them with a long-lasting energy boost that helps keep them focused during sports and homework. 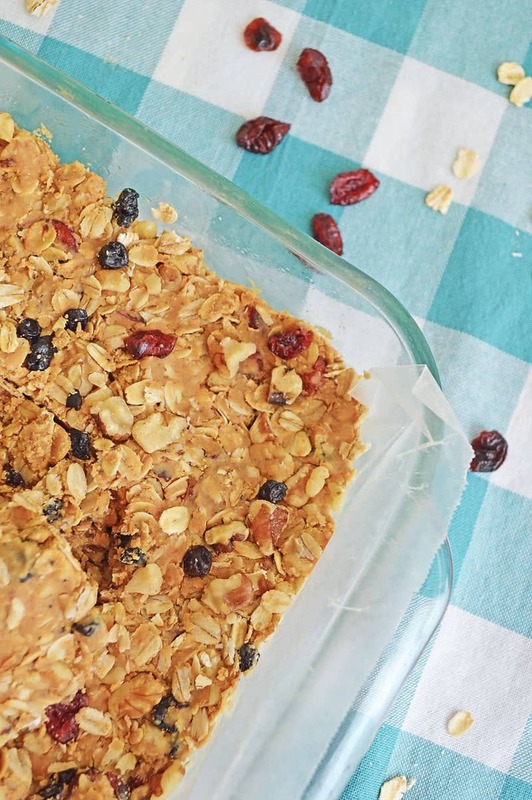 They’re usually starving when they get home from school so keeping a container of these healthy no bake peanut butter oatmeal bars in the fridge means they’re reaching for something nutritious when otherwise they’d be wanting a sugary processed treat. I won’t lie, though, I personally love these peanut butter oatmeal bars myself. Sometimes my day gets so hectic that I find myself borderline hangry by 3pm so I’ll grab one of these to hold me over to dinner. 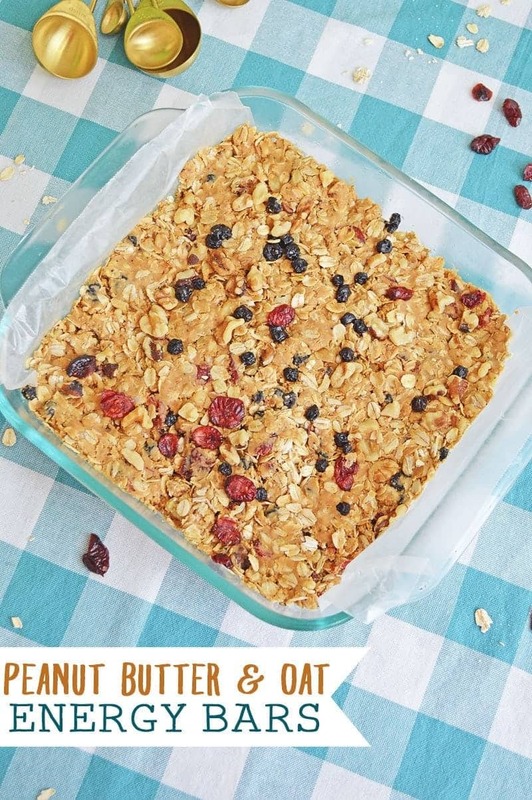 The best part of all is that these healthy no bake peanut butter oatmeal bars is that they’re so simple to make, with no baking required, you’ll find yourself reaching for them whenever you need a quick pick-me-up snack! The hardest part is just waiting for them to cool so we can eat them! 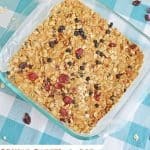 If you’re on the lookout for easy and healthy snacks for kids, definitely give these peanut butter oatmeal bars a shot! This’s such an attracting blog and nice recipe. I will try doing this bake tommorrow..
I’m confused on the oats. Do they need to be cooked first as the box says before toasting or toast raw oats?